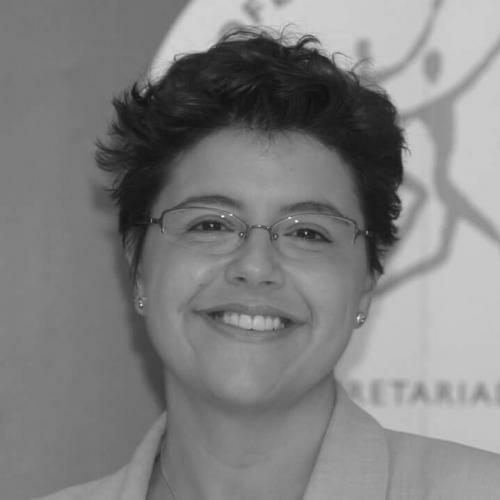 "My name is Mónica Suarez, I was born in La Coruña and arrived in Jávea in 2004. Since I arrived, I have worked in diverse service sectors ranging from Executive Assistant, Banking, Export Department, and Real Estate Customer Service to working in the health sector gaining so much experience in all of them, that creating MSP EASY LIFE was the natural outcome. Working in both hospitals and in various health centres, as an interpreter and administrator gave me critical insights and health sector experience that has helped to inform the area in which I now specialise. Whilst there, I realised that many elderly or ill people often need help that cannot be addressed through the conventional channels ? as regardless of their level of Spanish, many here do not have the benefit of a close knit family structure nearby. MSP EASY LIFE was born with the idea of helping them all, residents and non-residents, who need a PERSONALISED AND TAILORED QUALITY SERVICE." English, French, German and Spanish spoken. MSP Easy life has developed a complete range of cost-efficient services that make it possible to comprehensively manage any relocation need in order to offer full support for the expatriate and family. It is a customized program that introduces you to your new destination, finds a suitable home, helps in the search of a school, provides information on daily life and assists in all kinds of initial procedures. This program adapts to the needs of each individual. 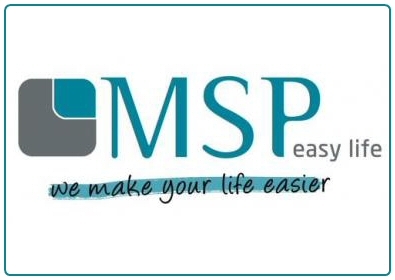 MSP Easy Life can help you to get the N.I.E, the S.I.P. card and prescriptions, to get or renew driving licence, prepare taxes, deal with suppliers of gas, water, electricity, with banks, direct debits and standing orders. 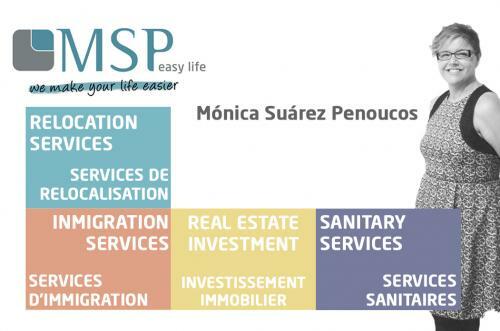 MSP Easy Life can act as an interpreter in your visits to Town Hall, banks, Notary, any administrative tasks, Police and/or to GP, health centre or hospital. MSP Easy Life can provide people to help in the day-to-day tasks, supermarket/pharmacy purchases, gardener, plumber, ?Neighbour Service? etc. For MSP EasyLife making a detailed analysis of the legal immigration requirements is one of the most important aspects when organizing an international transfer. Incomplete information can generate situations of great frustration and expense that, in the worst case, are not reversible. MSP study the specific circumstances of each person to offer the most appropriate solution. To live or invest in Spain? Everything starts with a dream. MSP Easy Life makes that dream come true Currently when investing, one of the best options is to do it in a home or business on the Costa Blanca, not only because of its location and weather, but also because of its high profitability, the increase in tourism and new residents, its demand for rent (both summer and long-term), the conditions offered by banks and, of course, THE LIFESTYLE, what more could you ask for? When an expatriate moves residence to another country there are many issues that have to be taken into account, including medical attention. MSP EasyLife® will help you with the process of registering in the public social security system, obtaining the health card and registration in the health centre corresponding to your new home as well as hiring the best private medical insurance to attend your needs. 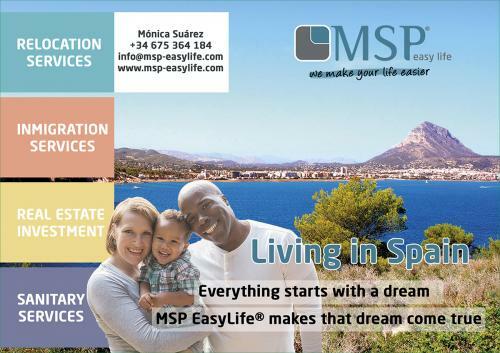 MSP EasyLife® also offers a wide range of health services through the best professionals and centres on the Costa Blanca in advantageous conditions with which to access, without problems, what is considered one of the best health systems in the world. Tricia Barr - Monica helped me obtain my Spanish driving licence. I found her to be very knowledgeable and efficient and everything went smoothly. She is very friendly and helpful in lots of ways and I would certainly recommend her. Nick and Pauline Holman - We met Monica two years ago when we were urgently in need of an interpreter for an eye appointment at the hospital. Since then she has also assisted with SIP cards, residencia, driving licences, and now with property sales and purchase. We recommend her highly for her efficiency and dedication, she always seems to go that one step further. Bernadine Davis-Turpin and Alan Turpin - Monica owner/manager of MSP last year facilitated the changeover of over 80 persons UK, German, Dutch and French drivers licenses to Spanish. Her fees could not be beaten. MSP services are professional, effective and always easy to reach. SUSAN WILMOTT - I have known Monica for over three years and in that time she has done everything for me from residencia and driving license, also all of the hospitals for my belated husband and myself in short, I don?t know what I would do without Monica. She is so good at doing everything for me and takes such good care, she is a fun loving lady with a lot of knowledge I trust her completely with everything from hospitals doctors test, Town Halls and all of the difficult paperwork you have to do here in Spain. She is one lovely lady and my husband was always very comfortable with Moni, when he was very ill she helped me in taking him to all the hospital he had to go to and when he died last year she helped me and my family make all of the funeral arrangement and was by my side in this very difficult time. Now she is taking very good care of me my family have full trust with her and she is now classed as part of the family. She works very hard and is very good at what she does in all aspects of her job I do hope this has given some information on a wonderful and a very hard working lady. I have total trust and believe in her with everything she does for me.